If you follow me on Instagram (if not, feel free to hop on over!) then you’ll have seen a little photo of this beauty already, but I wanted to give the Chloe Drew Bag in Grey the right amount of justice with its own dedicated post. I was lucky enough to receive this as a gift, for which I am eternally grateful, and have been wearing it non-stop every since! 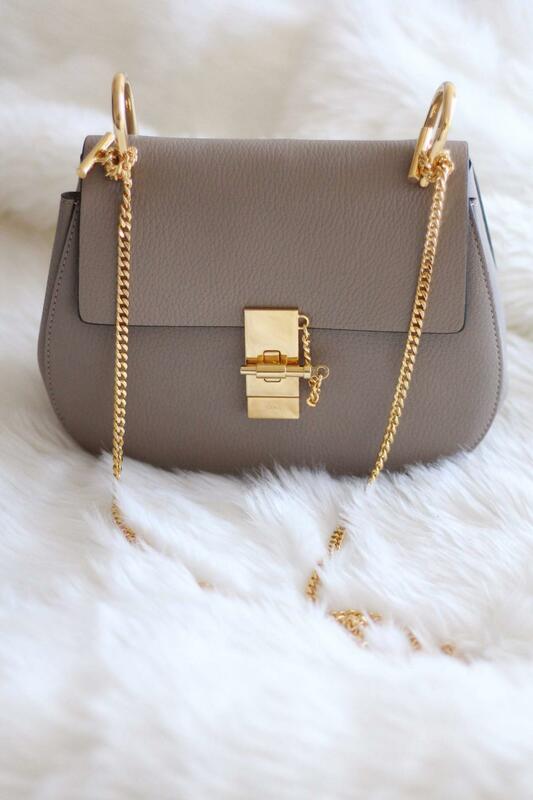 I’ve been saying for months and months now how much I wanted the Chloe Drew bag in grey, I’ve dedicated entire posts to it and linked it in wishlists dozens of times. I ended up with the Faye in the meantime, but always had my heart set on this in the background. For a brief time, the cream/white shade was high on my list, but then I saw more and more people wearing the grey one and I knew it was the shade for me. Look at it – it’s the perfect mid-tone grey and looks so stunning against the gold hardware. Despite it being listed as the ‘small’ Chloe Drew bag, it’s actually quite big inside and I can fit my large purse, an army of lipsticks, keys and more recently a big bag of jelly bunnies (damn you, Easter sweets!) so it’s fairly roomy. Chloe are definitely my favourite brand for bags at the moment and I’m oh so happy I’ve been able to add the Chloe Drew Bag in Grey more to my collection!